Can you buy Aluminum Nitride transistors? We all know wide bandgap semiconductors, currently galium nitride and silicon carbide are the superstars becose many companies make them at relatively reasonable price. They aren't just mere lab curiosities but very real choices. There are also many more wide bandgap semiconductor materials with even higher bandgaps such as diamond, silicon nitride, boron nitride, silicon dioxide and aluminum nitride a.k.a. AlN. I read on wikipedia that military uses AlN transistors, which means they are actively produced somewhere. 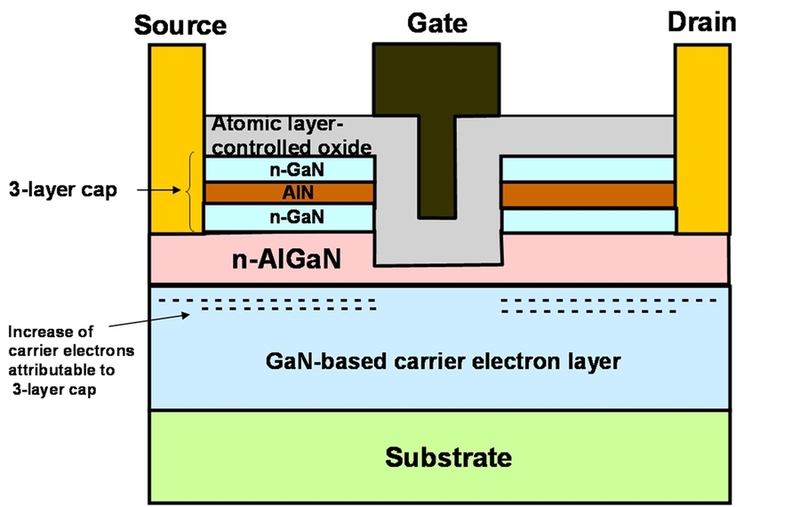 Do you know any manufacturer that makes AlN transistors? I want to know if there is currently any commercialy avaliable AlN transistor. Last thing I want to add to prevent potential mistake, aluminum nitride have also high thermal conductivity, it’s a frequent substitude for toxic beryllium oxide used in transistor as heat spreader thermal material. I am looking for transistor that uses it as semiconductor, not as heatsink. Browse other questions tagged transistors semiconductors materials or ask your own question. is any other technology than semiconductor transistors or vacuum tubes that can be used as active devices? What exactly is a potential barrier in transistors? Transistors why does increasing base current increase collector current? Can a thyristor be built from two transistors? What does the second code on transistors mean? Can really small transistors be modeled as in undergrad textbooks?